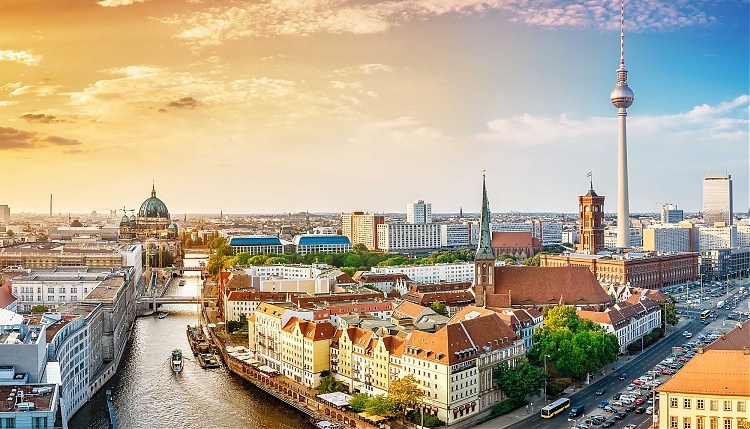 The Longines Global Champions Tour added the popular city of Berlin, Germany, in 2017 and it has fast become a popular event on the circuit. With fans filling the stadium each day, the show had a phenomenal atmosphere and is sure to deliver again this year. Hosted at The Sommergarten at the Funkturm in Berlin, which is a centrally located, park-like green area on the grounds of the Messe Berlin Since 1981 the Sommergarten houses a sculpture garden with works by contemporary Berlin artists. In the skyline and as the perfect backdrop is the Funkturm - one of the most important landmarks in the city of Berlin. This iconic tower was built in 1926, originally put into operation for the 3rd great Deutsche Funk-Ausstellung, and now, with a height of 146.70 meters, visitors can look into the horizon far beyond Berlin's borders from the tower restaurant.